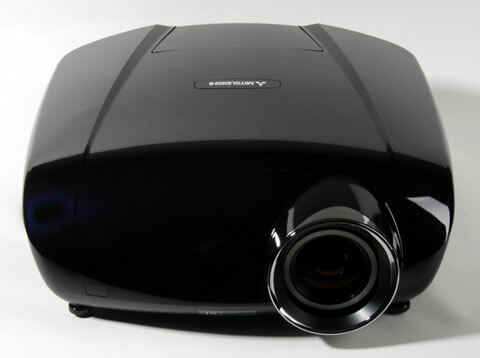 Mitsubishi's HC7000 is their newest home theater projector, and the first in the "Diamond Series" of projectors. Their new flagship model sports a newer, sexier case design and claims a new all-time high for contrast at 72,000:1. With higher native panel contrast and a better auto iris than both the HC6000 and HC5500, great color, and near-silent operation, the HC7000 is by far the best projector we've seen from Mitsubishi to date. 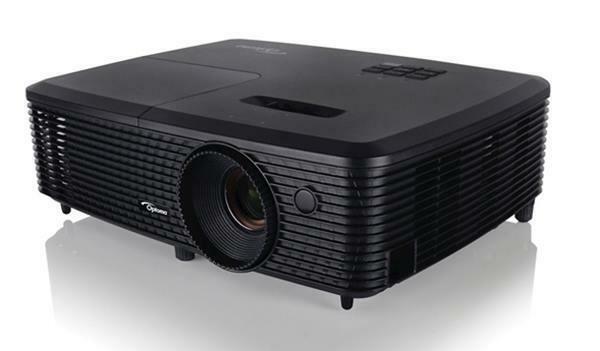 The HC7000 is not the brightest 1080p projector on the market by any stretch. There are other projectors available which are superior for home entertainment in rooms with ambient light, but the HC7000 is not built with that purpose in mind. Contrast performance (both ANSI and on/off) is superb, and the HC7000 is perfect for dark room home theater. The HC7000 is in restricted distribution and is being sold through designated, authorized Mitsubishi dealers and specialty retailers. As of this writing, it is not authorized for sale online. If you purchase it online, the warranty may not be valid. Light Engine: 1920x1080, native 16:9, three-panel inorganic LCD with 160W lamp. Excellent contrast. The HC7000 has some of the best ANSI contrast we have yet seen on an LCD projector; in video optimized mode we measured a hefty 409:1. To compare, the HC5500 measured 260:1; this is a huge jump for Mitsubishi and LCD projectors in general. The HC7000 also has a much-improved auto iris system compared to Mitsubishi's previous models, the HC5500 and HC6000. The iris adjusts more quickly and closes more tightly. Black levels in dark scenes are now greatly improved, to the point where a completely black image makes it seem as if the projector has turned itself off. And yes, there is a clear increase in on/off contrast over the HC5500. Since improved black levels are only really appreciable in a light-controlled room, those with a mild to moderate amount of ambient light in their theater might not notice as dramatic of an improvement as those in a dark room. Color. Out of the box, the HC7000 produced color which was well saturated and showed no obvious push or bias. After some minor adjustments, color improved even further. All in all, the HC7000 produced a vibrant, accurate, life-like picture. For those who have color calibration equipment and like to fiddle with color until it is perfect, the HC7000 makes this very easy to do. However, those who prefer to take the projector out of the box and start watching immediately will also be rewarded with a great looking picture. Lumen output. The HC7000 is rated for a maximum of 1,000 ANSI lumens, and our test sample measured 670 lumens in its brightest mode. This mode, which uses the "High Brightness" color temperature setting, is best left to use with HD sports broadcasts in rooms with moderate ambient light, since color accuracy takes a significant hit. The HC7000 is not at its best with this type of viewing, but it can serve in this capacity on occasion. When optimized for video, lumen output drops to 407 in high lamp mode with the lens at its widest angle setting. This is actually less video-optimized light output than the HC5500, which measured 610 ANSI lumens. However, the HC7000 has the better picture due to the improvements made in color and contrast. If you're using low lamp mode, either because 407 lumens is too bright or you're trying to squeeze more life out of your lamp, lumen output drops 22%, to 318 lumens. In addition, if you're using the telephoto end of the HC7000's zoom lens, lumen output will drop another 27%. Realistically, we would recommend that you try to avoid the maximum telephoto end of the zoom lens for this reason. The HC7000 was clearly built with dark room home theater in mind, and it performs beautifully in such a situation, so do your best to darken the room's interior and to ensure strict light control in your theater. If your viewing environment has a significant degree of ambient light, there are other projectors better equipped for your situation. Maximum light output is achieved using the widest angle setting of the lens, which is the shortest throw distance for any given screen size. Thus, many people will want to consider a ceiling mount for the HC7000. To illustrate, on a 120" diagonal screen, which is 105" wide, a 1.5x viewing distance would put the viewer 13 feet from the screen. At maximum wide angle zoom, the HC7000's throw distance for a 120" diagonal screen is 12.25 feet. So your options are to A, ceiling mount, or B, sit closer to the screen than you might otherwise want to sit. Thankfully, due to the 2.5 picture height lens shift, it is relatively easy to ceiling mount the HC7000 in precisely the right spot. One area that would add to this already excellent review would be the familiar category of image sharpness. This has been addressed before in other reviews. Between the convergence tolerances of any 3-chip design and the quality of the optics used image sharpness can vary noticeably between various models. In the past Mitsubishi has scored well in this area. Hi I’m curios about hove you obtained that ANSI-contrast? When I measure the one I’m testing, I read 313:1 ANSI. Native on/off is about 1900:1, and dynamic contrast a little over 24.000:1. After reading your test, I have double-checked every measurement both with my ProgressiveLabs C-5 and my KonicaMinolta T-10. Interesting review. Been a happy HC 5000 customer for almost two years now. Going for a upgrade this autumn/winter. Gorm, isn't dynamic contrast of 24.000:1 very low compared to specified 72.000:1? Anyway, how do you compare it to HC6000 or even HC5000? How "big" will the upgrade for me be? I have a totally light controlled room. 92" screen. Soon I have to replace the lamp of my HC5000 (it has started giving me warnings about that on start up), or buy a new projector. I'd love to know how this stacks up against one of the better DLP's, the InFocus IN83 ? On noise alone (17db against 27db) it's impressive, but can the latest 3LCD panels compete on all round pic quality compared to DarkChip4 DLP ? RE the Mitsubishi HC7000, your summary box at the top says $4995 MSRP, but in the body of your review you state: "Cost. At $3,995 MSRP, the cost of the HC7000 might be more than the average do-it-yourselfer would want to pay." Which is the correct MSRP? how do they compare with epson EH TW 5000 ? The Mitsubishi HC-7000 uses the same LCD panels/Light engine as the Epson 7500UB. The two are simular. The Epson includes a ceiling mount and a spare lamp. Quick question? I have a fairly good impression from other articles about the reliability of inFocus and Epson projectors, and they seem to be right on the mark. Anyone had any bad experiences with Mitsubishis? Just upgraded to the 7000 series. I have a new extra bulb from my 6800 series. Does anyone know if I can use that or is it just a lost cost?